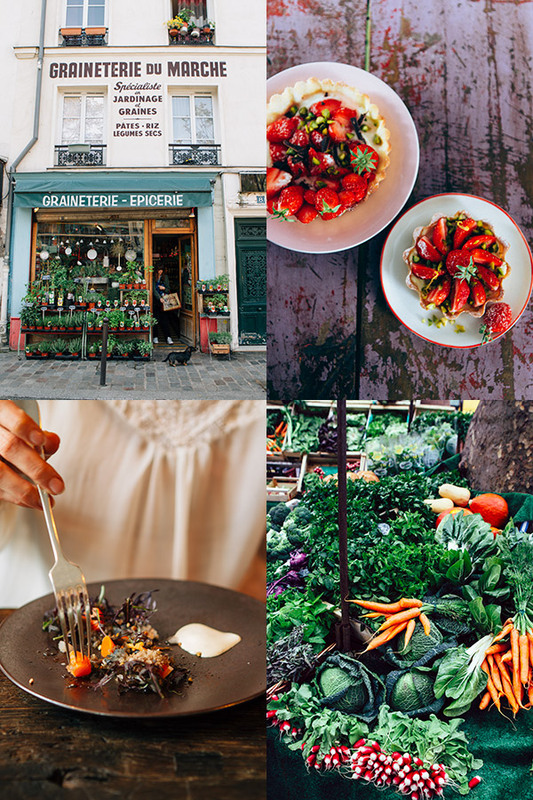 I am so happy to team again with talented French food stylist and photographer Sandra Mahut for two 3-day workshops in early June in Paris, France. 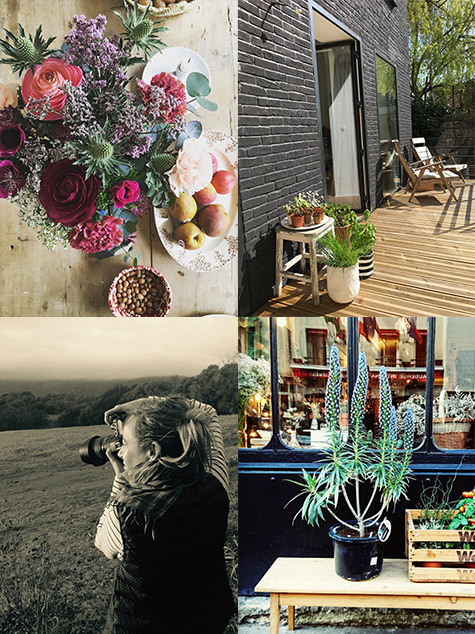 Join us for three days of creativity, styling and photography, great food and exploring of the French capital. 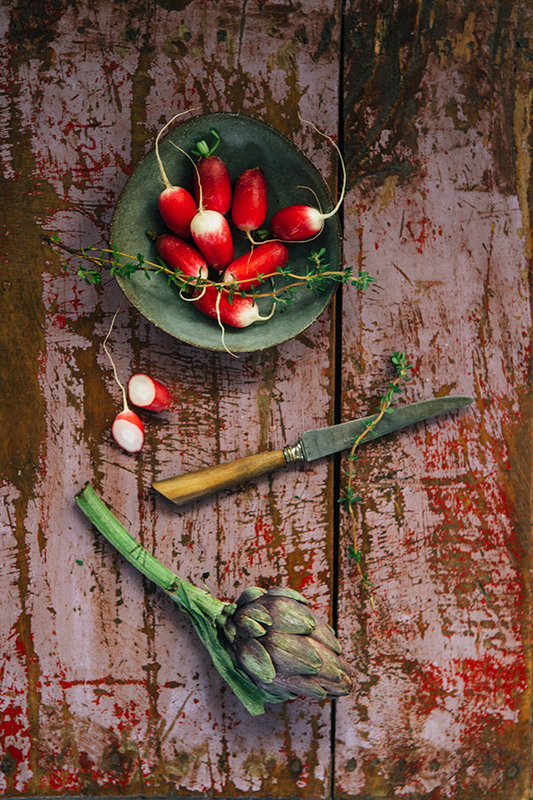 Together Sandra and I will teach you fundamentals about food styling and photography with scrumptious hands-on food assignments in her wonderfully catered Parisian studio (Sandra has a LOT of props, accessories, and surfaces my friends!) 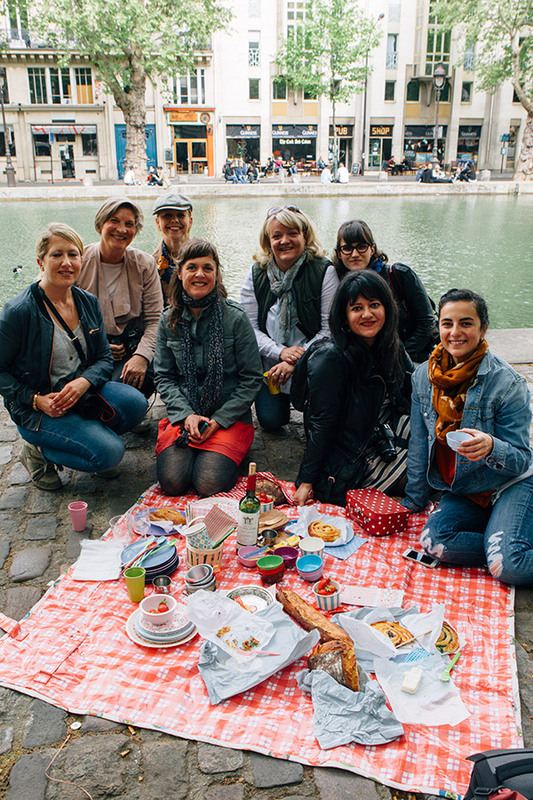 During that time, we are also making room to take you around Paris with us, to discover special nooks of the magical city–Sandra has lived and worked in Paris as a stylist for over 10 years, so her experience as a local is a real bonus! Day 1: Start and meet in a unique Parisian restaurant to enjoy a healthy organic breakfast. Discover a traditional marché (farmer’s market) and get ingredients that will be used for the day’s food session. 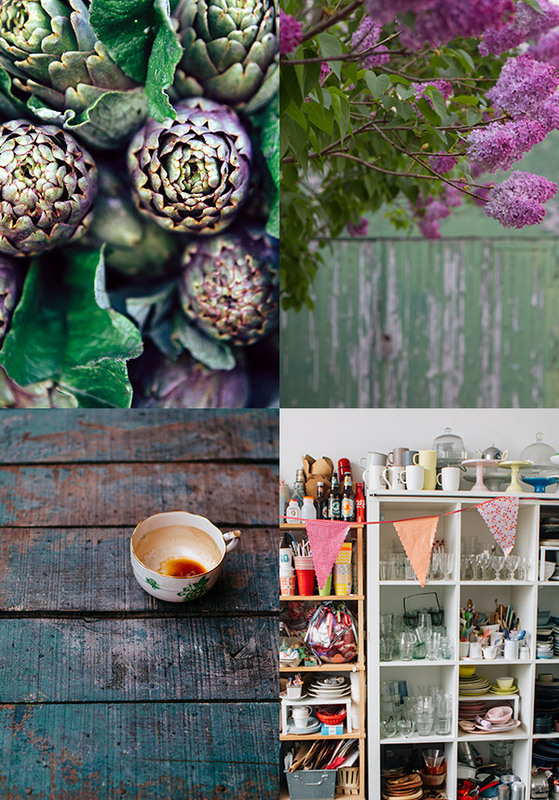 Enjoy lunch at the studio and have a full hands-on guided styling and photography session, accompanied by a gluten free cooking class. 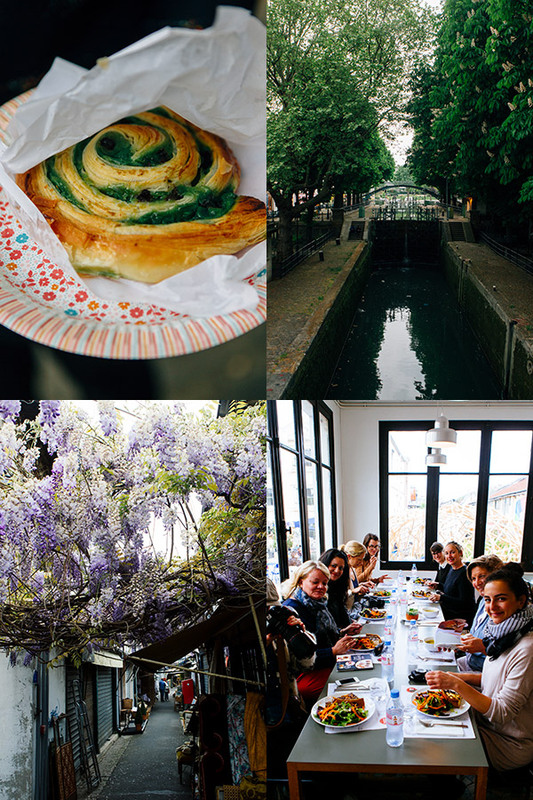 Day 2: Spend the day between Sandra’s studio and her home, with breakfast, lunch provided, and an apéritif dînatoire with wine and appetizers (in Sandra’s garden, weather allowing). 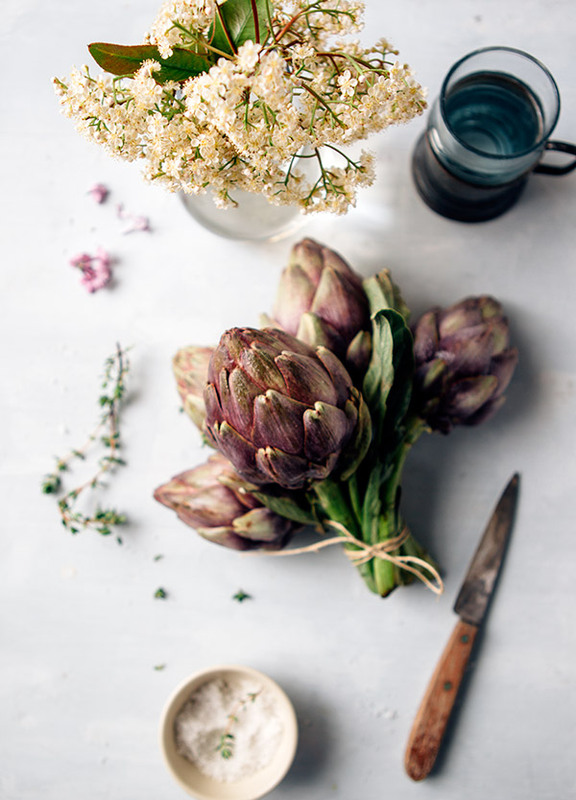 Learn about managing natural light during a full day photo shoot with a specific table arrangement assignment–with various foods and flowers. Day 3: Explore special nooks of Paris to expand your prop collection and shopping list. Enjoy innovative food in a unique neo bistro in Paris. Learn about how to retouch photographs with a post production Lightroom and Photoshop session. Activities are subject to change due to weather and availability. The cost of the workshop is US$1,500 for 3 days and the limit is set to 8 participants (a SLR camera is needed). Airfare, accommodation, and getting to and from the studio are excluded from the cost. Sandra’s studio is located in Bagnolet near the 20th arrondissement in Paris. Note that this is a non-refundable workshop payable in full at time of registration, so be sure you are able to attend before registering. In the unlikely case that we had to cancel the workshop, you would receive a complete refund. If you are interested, please email me at bea@latartinegourmande.com and indicate the dates of the workshop you would like to attend. We very much look forward to meeting you! Quelle bonne nouvelle ! Je suis intéressée par la session du 7-9 juin. Merci ! Bonjour Beatrice ! I am interested in your Paris workshop on June 4-6,2017 ! My email in not working now,but I hope to get it fixed soon ! You can also message me on Facebook. Merci bien ! Do you still have availibility on the weekend? Bonjour Beatrice ! I would prefer to attend the Sicily workshop this October. Merci ! Hope you had two lovely workshops this june! Do you think you´ll make a Paris workshop again next year? I would love to participate! Very nice place! I like to picnic beside the canal.